- Limestone, shale, and other sedimentary rocks commonly contain fossils. 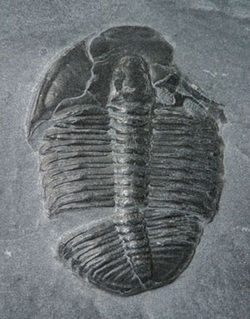 - Fossils are evidence of once living organisms. - British Columbia contains a wealth of fossils. - They contain fossilized shells, bones, scales, footprints, teeth, and leaves. - Fossils can also be used to determine the history and age of rocks in which they are found. - What do fossils show us? - Evidence of the environment and the licmat which the animals or plants lived. - Scientist know that BC was once covered with tropical forests because of fossils they have found. - Other fossils show that BC was covered in ocean water in the past. - The fossils found in Yoho Valley of eastern BC, are so special that the United Nations has declared the Yoho Valley to be a World Heritage Site. - The Burgess Shale in Yoho National park is home to some of the most famous and unusual fossils in the world. Watch from 1:48 - 3:59 for info on fossils.